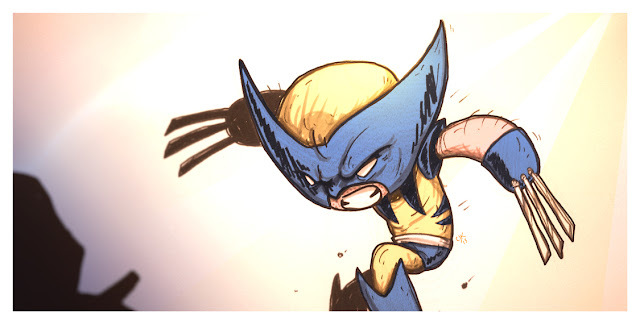 Cute Little Wolverine... the X-men kind. ... speaking of fashion, for such a tough guy, yellow and blue is a rather pansy color choice, not to mention the blue undies (even though I did). Anyways... watch yourselves, and The X-men are cool. 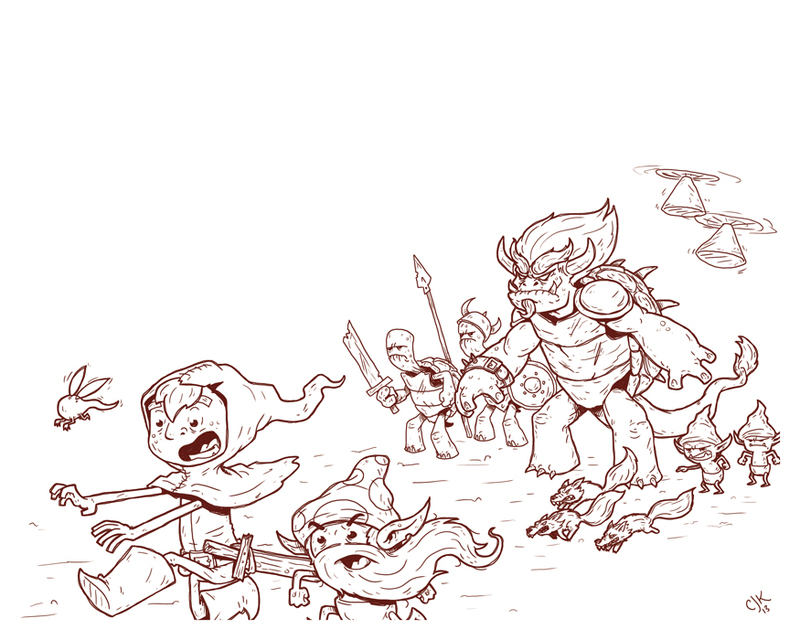 Some Line Art for a new Percival piece. Here is a work in progress piece for The Legend of Percival Pundragon. This piece features the first actual view of King Tortle! the main antagonist of the story. Don't he look mean. Wait... he reminds you of somebody? I hope so. This was a fun piece to work on. 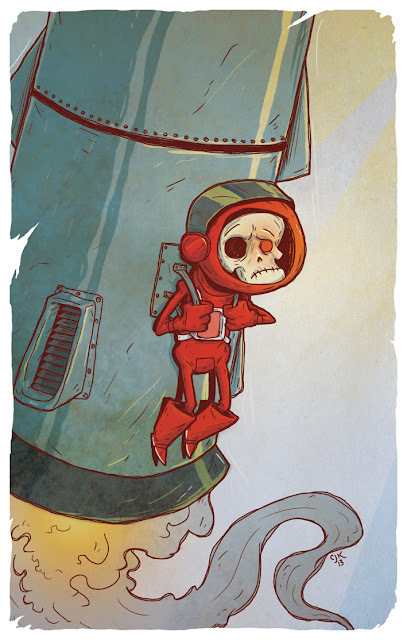 I always love drawing people in peril. That could be a whole series... "people in peril". I'll look into that. Anyway... I'll post the color version in the near future.... stay posted as I post postings. 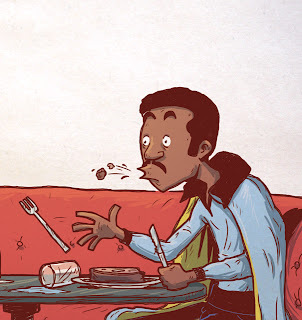 oh, and you should go read the story so far: on Facebook or Comic Fury. Watching this movie as a kid was incredibly creepy.... wait, it still is. 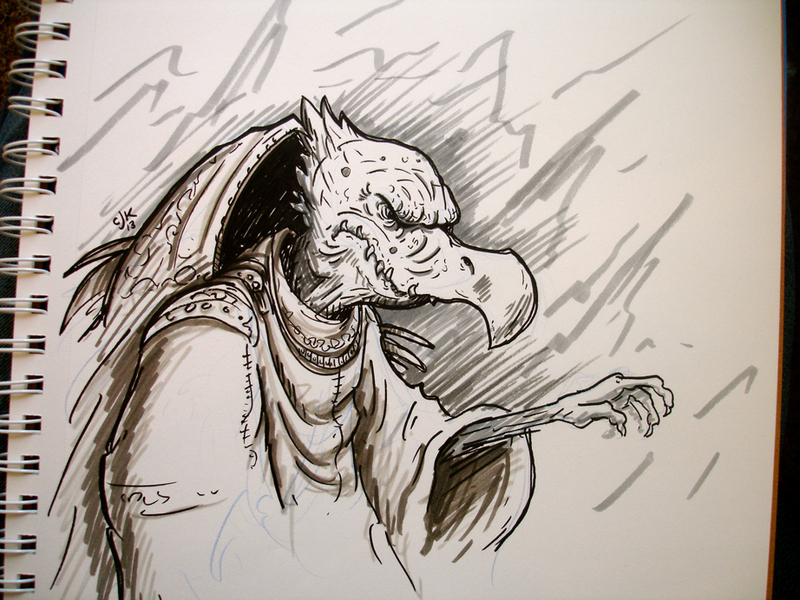 the Skeksis are the living embodiment of unsettling. Well done Jim, well done. Here's an ink Drawing I done did for the MORE TENTACLES BLOG!!!! Yes... that was in your face... but it's in his as well. I don't often do Sci-fi pieces. Typically fantasy creatures and characters come out of my brain more readily. 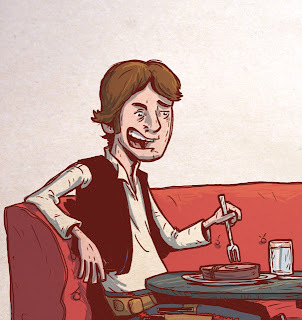 Eat it fantasy... sic-fi is serving lunch today! 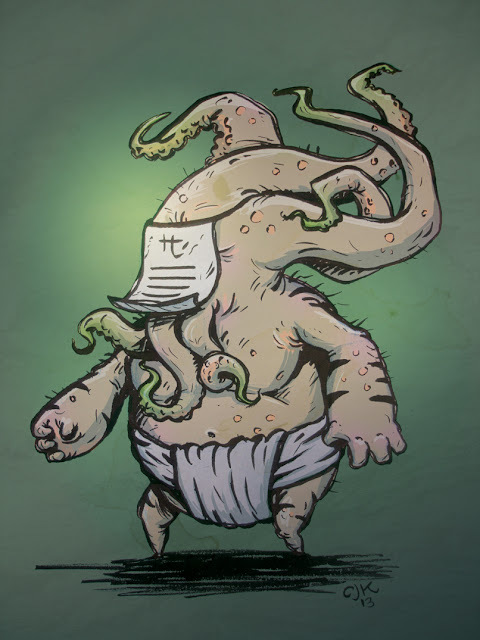 ... after thinking it over just now, Having some tentacle creature stuck to your face would be terrifying. Not too bad if you had a helmet on... but without one? It would be like drowning in a sea of Bologna... yuck. Ink Drawing of a Gloomling... and The Legend of Percival Pundragon. 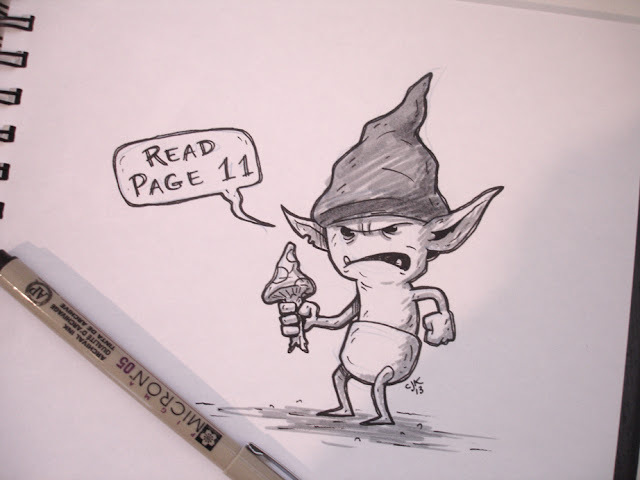 Ink Drawing / Sketch of an upcoming character from The Legend of Percival Pundragon! plus... He's telling you to do something. Percival Pundragon Cover... in Colorful Color! 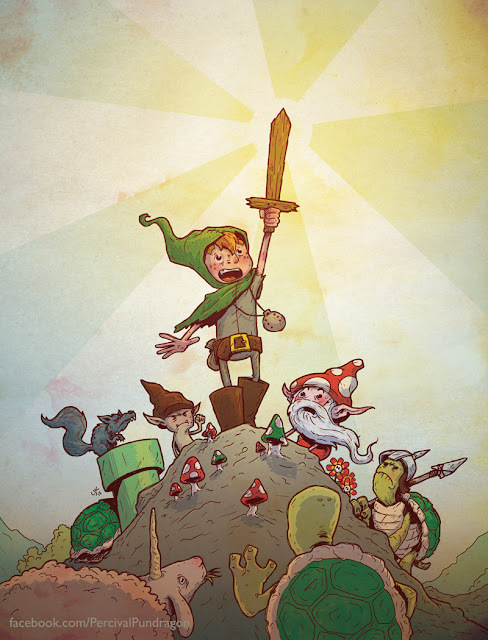 Here is the colored version of the cover of The Legend of Percival Pundragon! I posted the line drawing a while back... but now you get to see it in full color spectrum. I have to say... the color part has always been my favorite part. More to come. Just the Text and stuff waiting. Again... you can read the comic Here or Here. Doodle of the character Newt from my comic: The Legend of Percival Pundragon. 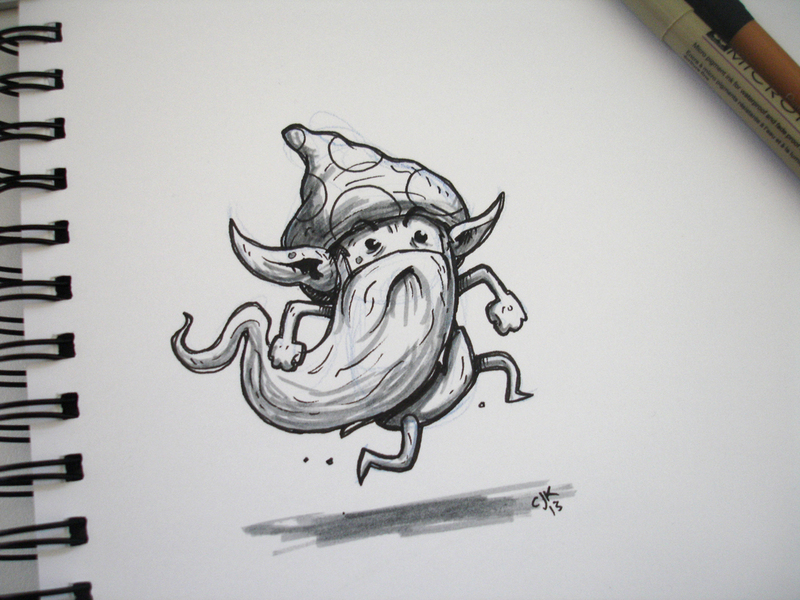 I did this one with a blue mechanical pencil, Micron 05 pigma pen, and a Pitt Cold Grey III Brush Pen. This just screams for me to animate him running. Maybe someday I'll get a round to it. A piece of fan art of the character Space Skull created by Jake Parker. Awesome character... awesome design... I couldn't resist drawing him! And I can't wait to see the comic that is in the works! Thank you Jake for a delicious bit of art. Here is a piece for the More Tentacles Community Art Blog! 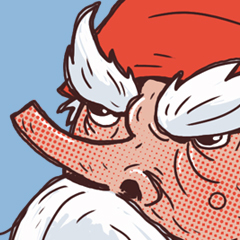 it's kind of what would happen if you put Hayao Miyazaki and H.P. Lovecraft in a blender. ...and yes, it is a little disturbing. I must say that Miyazaki makes fantastic movies! and H.P. 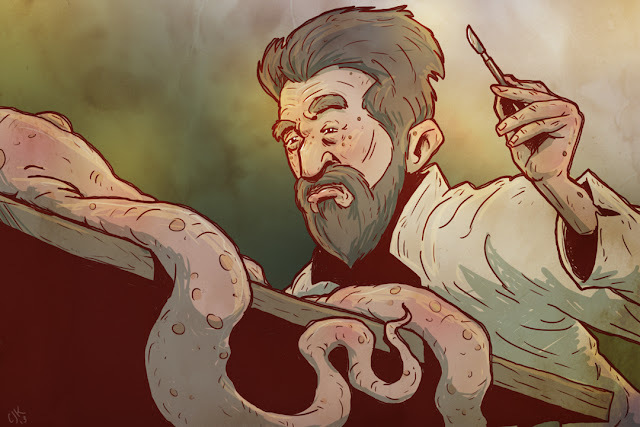 Lovecraft writes completely insane stories! 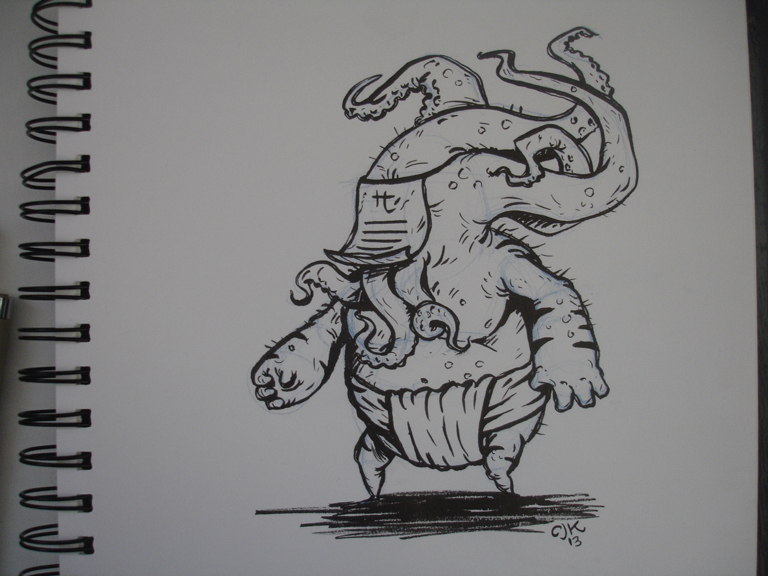 and then, here's the original ink drawing i did. 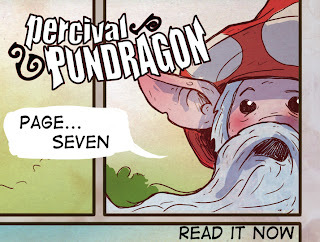 Percival Pundragon Comic... The story continues! Page 10 is up for reading now! Along with all the previous pages. This page has a nice panoramic in it! That was fun to do. Shirt Woot Derby! 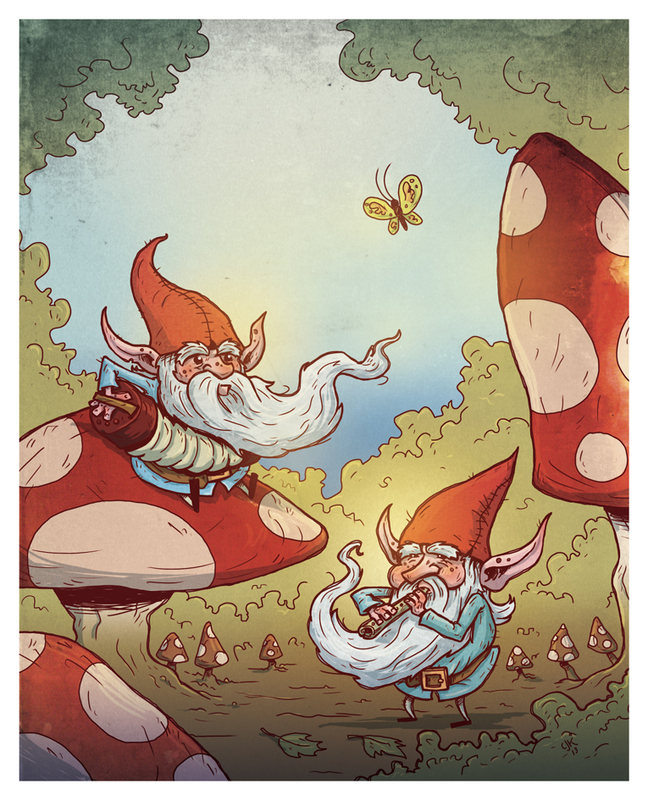 more Gnomes. 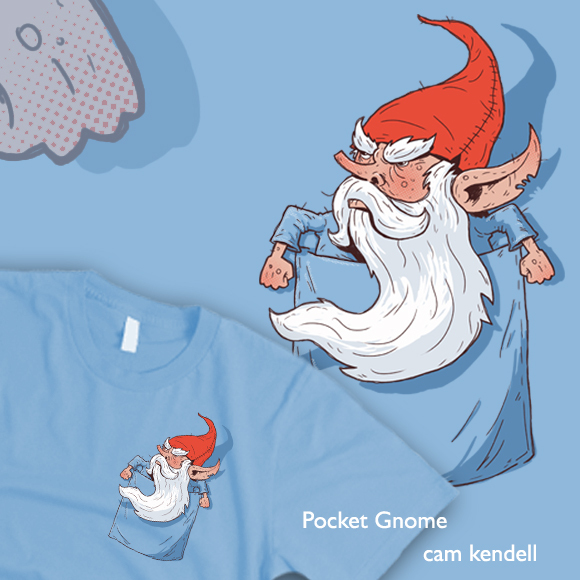 This Shirt is in the running for being Printed... but it needs your votes! Well... Here is a commissioned piece I just finished. I have to say... I like drawing Gnomes... or really anything short with a beard... That's seems like a weird thing to enjoy. So be it. So... Norma, this one is for you. Let me know what you think. Dark Star Wars Humor - Han and Lando eating Wookie Steaks? Yeah... This just kind of came to me one day... and so I drew it. One of these days it's bound to happen. 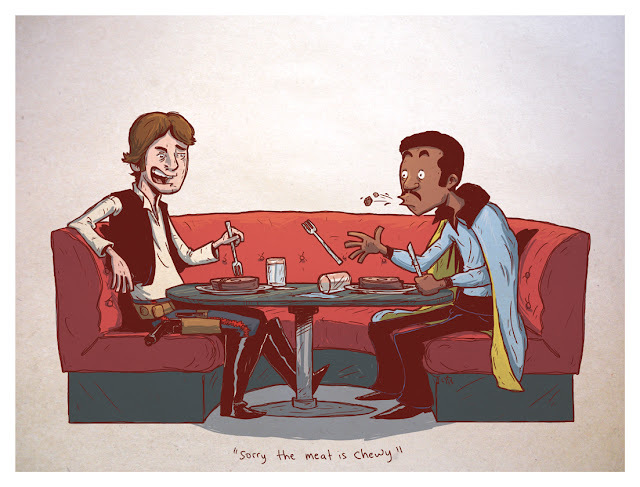 Rarest meat in the universe. Wookie Steaks would go for a fortune. 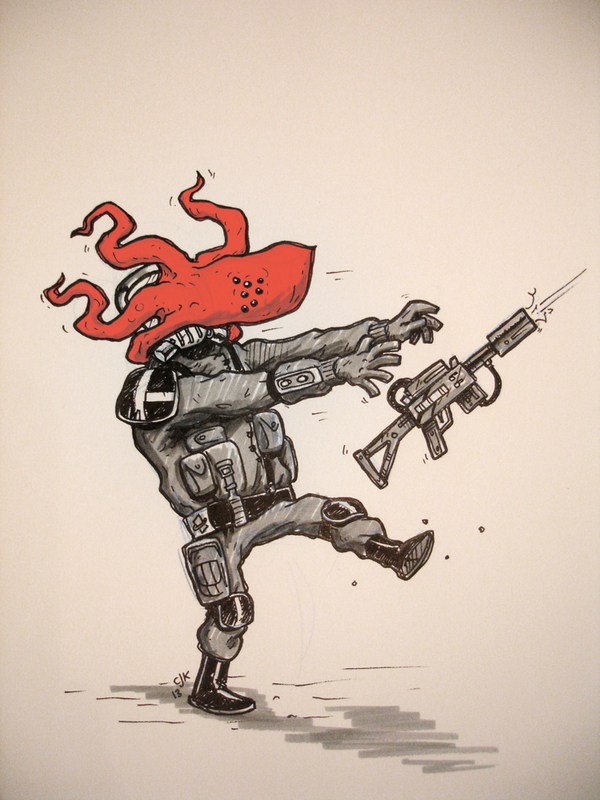 First... is a piece for the More Tentacles Blog. I called it First Incision. For some reason I couldn't stop singing the Cat Stevens song (covered by Sheryl Crow) First Cut Is The Deepest... go figure. 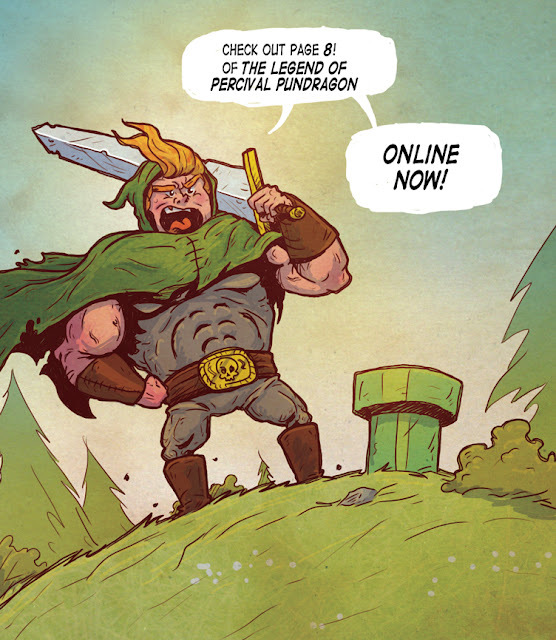 The second piece is for The Legend of Percival Pundragon (my independent comic). 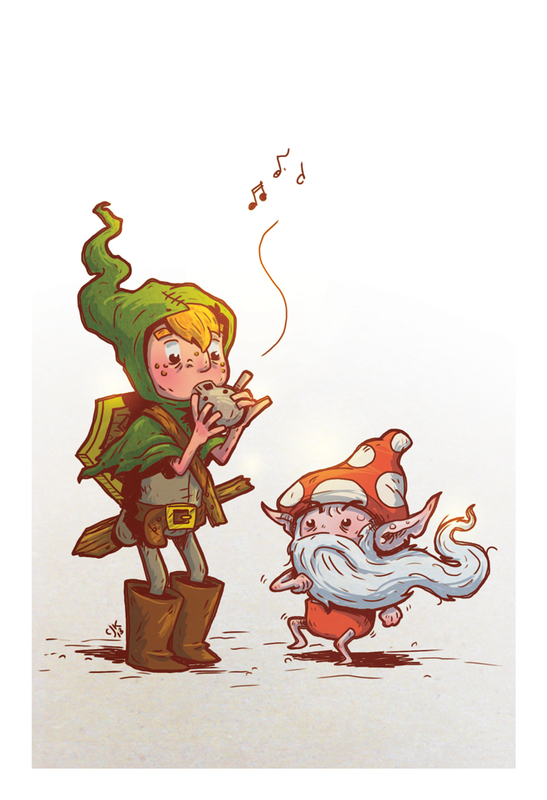 A character illustration of Percy and his shroomling guide Newt. Thought I'd share the latest bit of Client work I did. This was for the same client I did the Oz Ballet poster for. Definitely a fun piece to work on. I always enjoy doing something dark and gritty with plenty of texture and wear and tear. 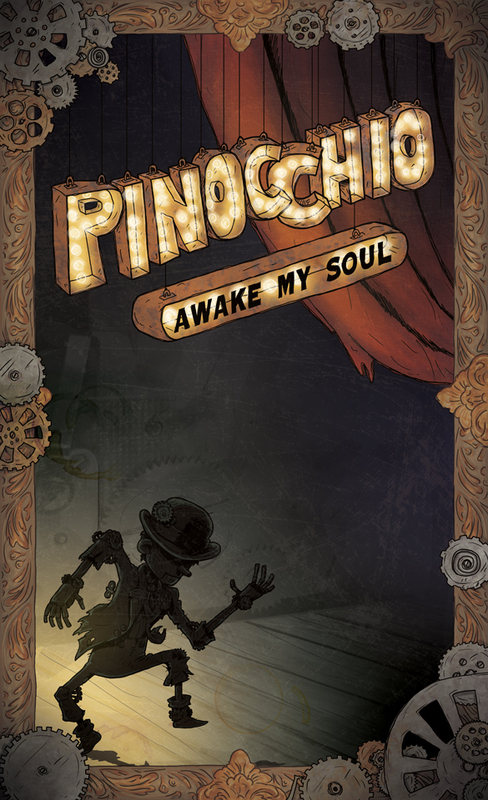 And I must say... Steam-Punk Pinocchio Ballet sounds quite interesting. Quite. I'll post the completed version with text and everything at a later date. Page 8 is up for reading! ... and yes... I do think you should go read it. Read it on The Facebook Page or The Comic Fury Page, whatever floats your banana boat. I've been really enjoying making this comic... It let's me do what I love: Tell a ludicrous story full of corny jokes and puns, make comments of popular culture and media, draw outrageous creatures and characters, and just plain enjoy being weird and geeky. anyway... if this guy doesn't convince you to go read it... than I may have to send Mr. T. over to your home for a little personal persuasion. Hey Everybody! 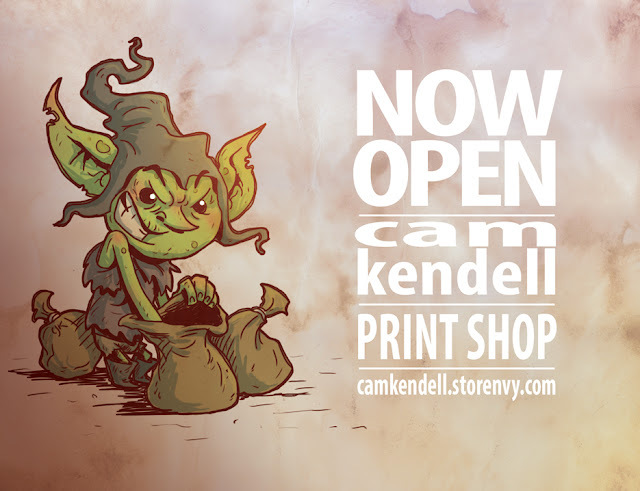 I've opened my SHOP! 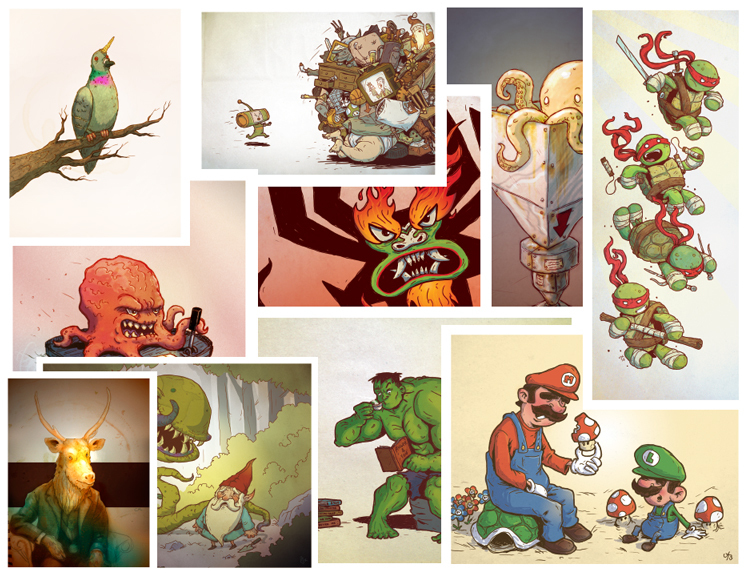 and Prints are now available! In the future you will also be able to buy original pieces as well as books and other weird stuff. These prints make a wonderful addition to any wall or desk in addition to being a great way for me to send subliminal messages into your very brain... pink... elephant... candy. OH! 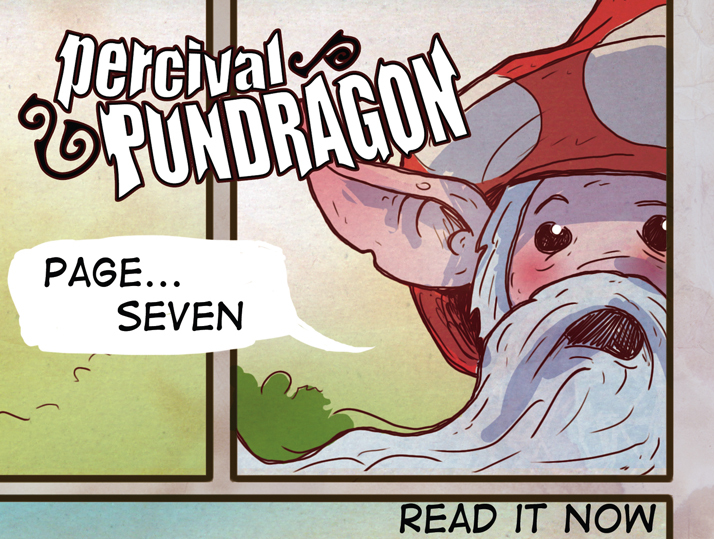 and page 7 of Percival Pundragon is now up for reading. Ninja Turtles! with a Print! yep... I thought it was time to do another Ninja Turtle piece. Enough of my comic... for today anyway. Two versions... the popular version with different colored masks that I'm sure most people would be used to, and a second for the die-hard comic fans. Yep... in the comics the masks are all red.